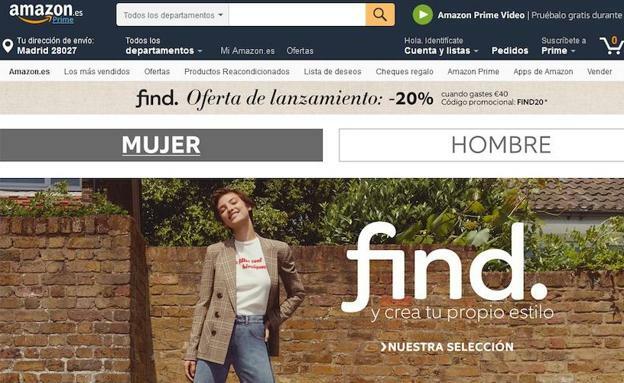 After 5 years selling external clothing Brands Amazon and testing around 7-10 different private labels targeted to specific Market segments has officially launched this Autumn-Winter a full women/men collection under the private band “FIND”. 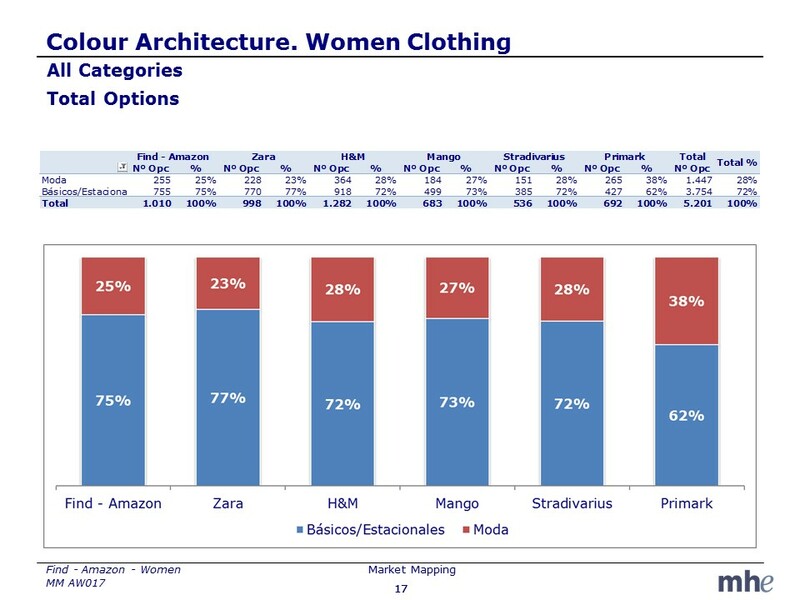 MHE, retail consultancy, has analysed in a detailed way using the proprietary benchmarking tool “Market Mapping” the FIND women clothing product assortment vs the main clothing specialist chains in Spain such as Zara, H&M, Mango and Primark. The scope has been the assortment width, product mix, price architecture and colour architecture. In addition an objective end use and fashion style position segmentation has been elaborated. 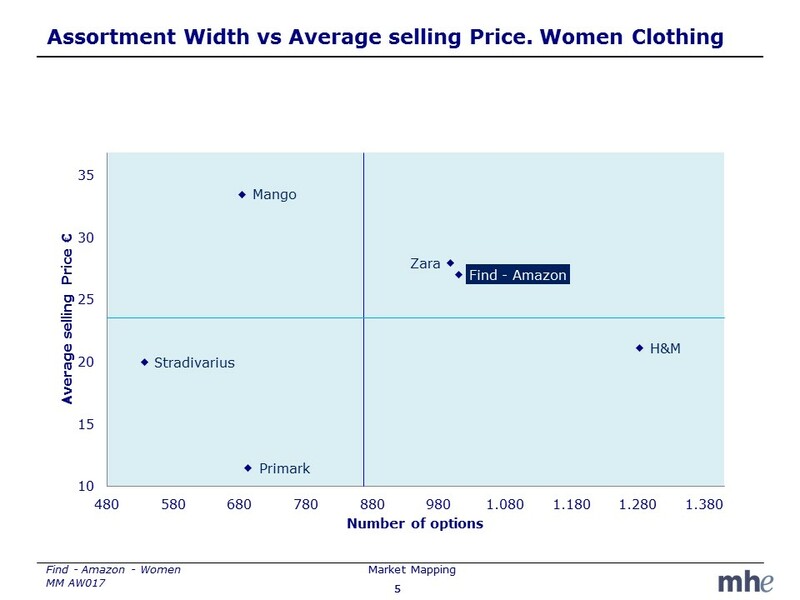 This report contains the main conclusions when comparing FIND with Zara, H&M, Mango and Primark. Tshirts is one of the strategic product category where FIND covers the full range of selling prices. 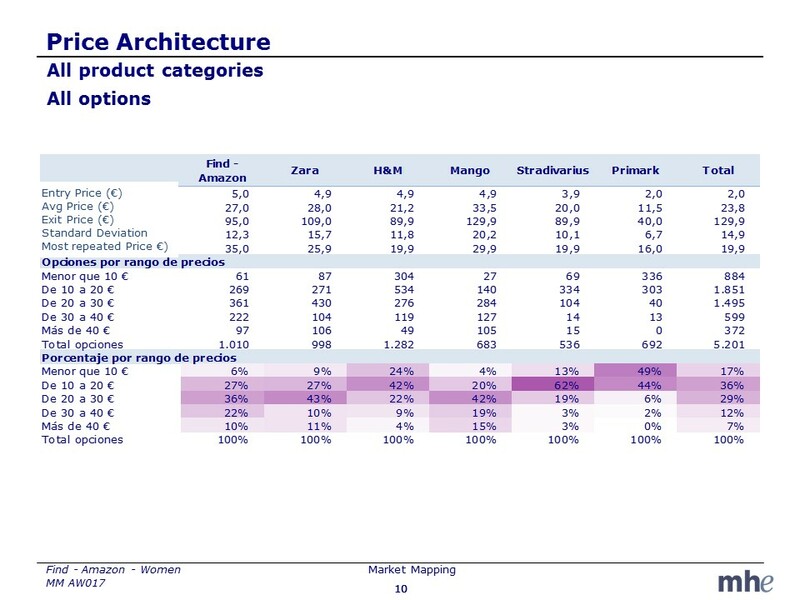 In terms of number of different price points, FIND has the highest number among the analysed competitors. MHE has defined and objective visual images grid segmenting end use and fashion style positions. The it has been applied to the assortment online of the different retail operators analysed. 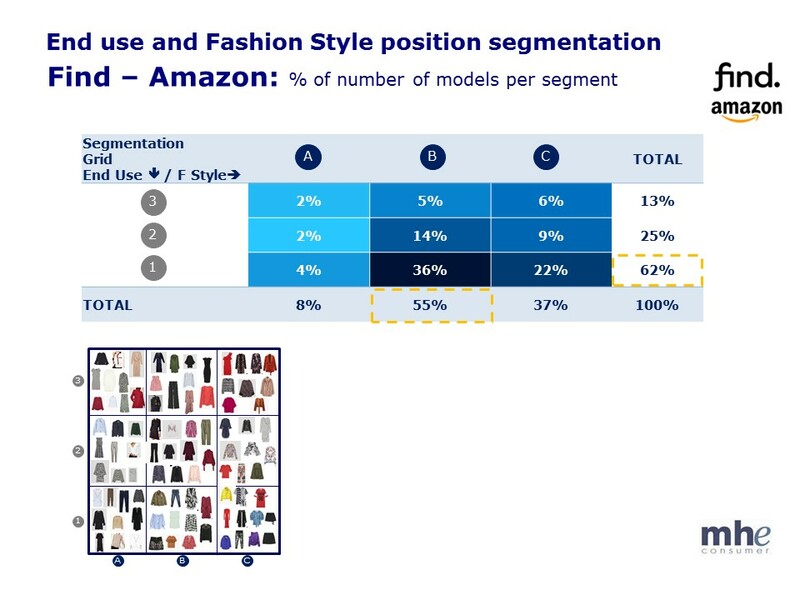 Amazon-FIND assortment is clearly concentrated on casual and soft casual segment and updated style position in a much higher proportion that the other operators. In this way FIND avoids dilution and impact when discarding other market segments while concentrating on a reduced number of segments. To have a good strategy and assortment planning is an important step but not enough to succeed. 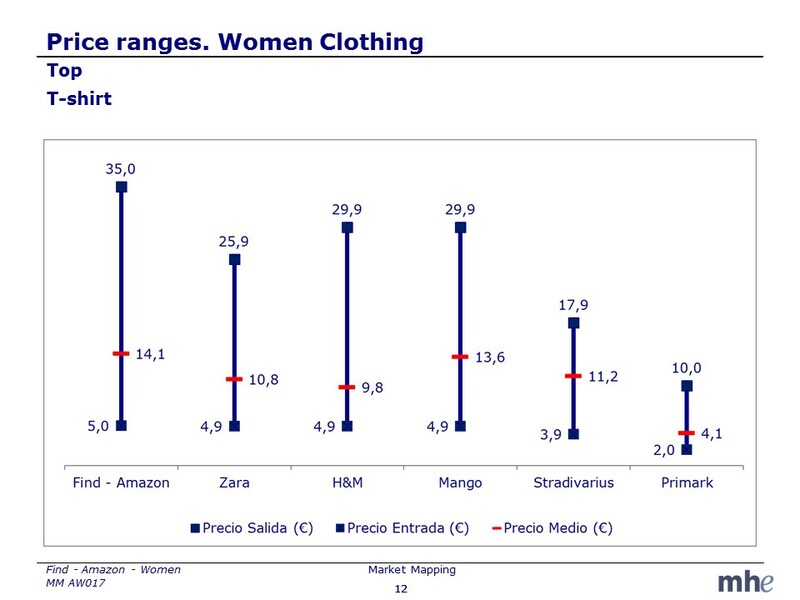 Operational centralizations of companies such as Amazon may face some difficulties to adapt, specially women fashion, a single design and managed European assortment to such a different local tastes of countries like United Kingdom and Spain. 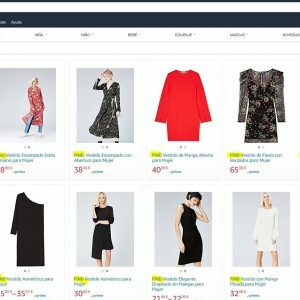 This difficulty is not unique for Amazon, in fact other global clothing specialists have gone already through this process. 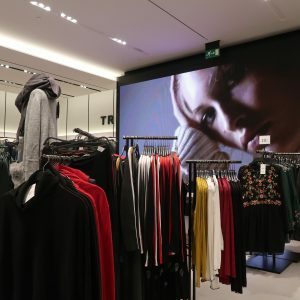 MHE, retail consultancy, works for major Brands and Retailers in commercial strategy and operations in an Omnichannel environment.